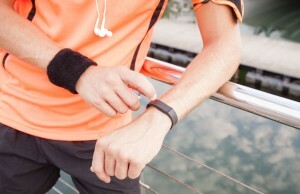 Digital fitness trackers provide a little extra motivation to get fit and stay fit. Not only do they track steps and physical activity, but most fitness trackers also track calorie burn, distance and even sleep cycles. FitBit is one of the most popular digital fitness trackers available, but there are plenty of other options on the market, including Vivofit by Garmin. For the fitness fanatic, new shoes are always a welcome gift. Running shoes should be replaced every 300-500 miles to avoid injury. That means a runner logging three-mile runs five days a week should be replacing his or her shoes about every six months! Unless you know specific shoe size and brand preferences, give the runner in your life a gift certificate to a fitness store like Endurance House or Luke’s Locker, where experts will help them find the perfect fit for their feet. If yoga is your loved one’s preferred method of fitness, then a travel yoga mat is the perfect gift. The eKO SuperLite® Travel Mat ($40) can be folded easily to fit inside a small travel bag. It is eco-friendly and made of biodegradable rubber that will not fade or flake. Plastic water bottles often contain BPA, which can be dangerous to your health. Non-plastic, BPA-free water bottles will keep your favorite fitness enthusiast hydrated and healthy. The BKR water bottle is made of BPA-free, phthalate-free, FDA-approved materials. The bottle is made of soda-lime glass, and the sleeve and gasket are silicone. The bottle has a small opening for no-spill sipping. It is dishwasher-safe, sleek, and fashionable, too! Each season, BKR releases limited edition collections inspired by runway trends in New York, London, Paris and Milan. Snack box subscriptions may be a trend that’s here to stay. We all know how hard it can be to snack healthy, especially when healthy snacks aren’t within easy reach. With a monthly snack box subscription, you can send healthy snacks right to your loved one’s doorstep. A few brands to check out include Love With Food, Conscious Box, NatureBox and Graze. Choose products filtered by dietary preference, such as soy-free, gluten-conscious, vegan and even non-GMO. Subscriptions start at about $10 per month. Let your health-conscious loved ones know you’re paying attention to their efforts to stay healthy with one of these health and fitness-oriented gifts!